The city didn't even have a sanitation department until 1880. 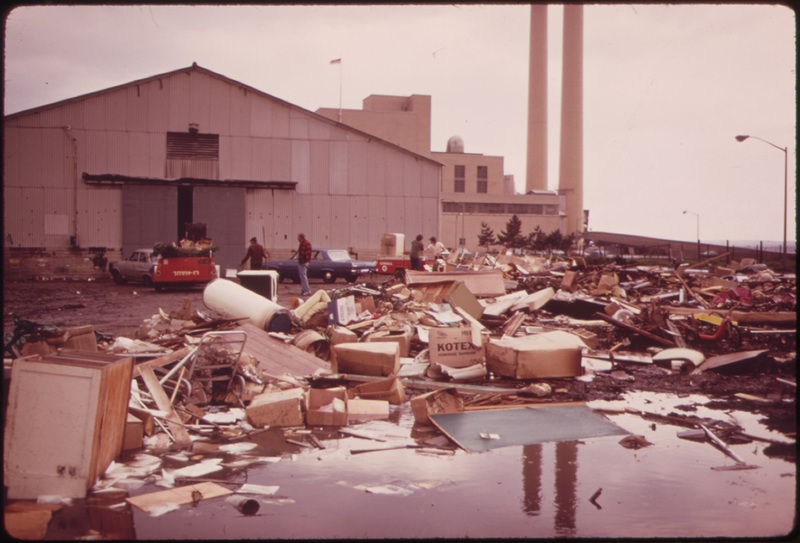 Here's a look at how New Yorkers have dealt with garbage through history. 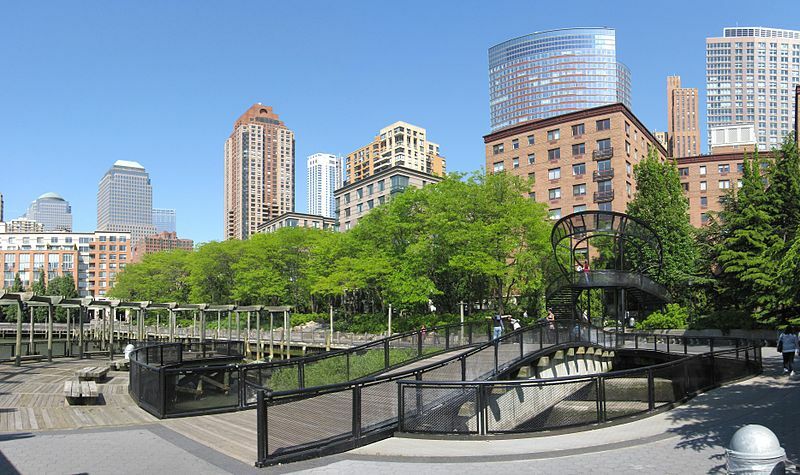 New York was one of the last global cities to have an organized sanitation network. Household waste would be left to rot on the streets along with decomposing animals. The lack of hygiene meant residents had higher rates of illness and death. Early on, wealthy neighborhoods started to pay private cleaners to keep their streets tidy, but poorer areas were left to themselves. The Department of Street Cleaning, later named the Department of Sanitation, was founded in 1881. This changed in 1895 when Colonel George Waring was appointed the Sanitation Commissioner. The position had initially been offered to Teddy Roosevelt who turned it down, thinking it an impossible task to clean New York’s streets. Although Waring only remained in his position for a few years, the structure he created largely remains in place today. In 1898 he also organized the nation’s first recycling plant. Waring wanted the sanitation workers to be associated with hygiene and cleanliness and so he ordered them to wear all-white uniforms. He also felt the very recognizable outfits would prevent them from slipping off for a pint during work hours. Their appearance gave them a nickname, the White Wings. The workers also wore police hats which lent them an air of authority. One person would sweep the street with a broom and a horse drawn cart would follow to carry the trash away. 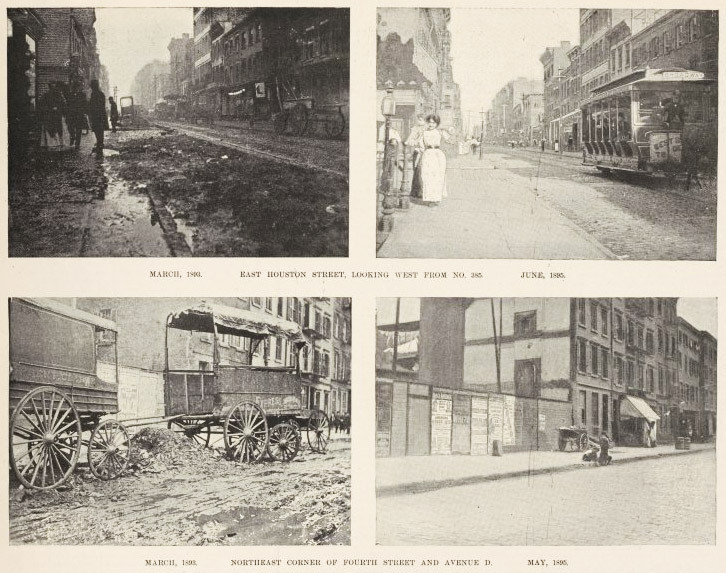 The same streets before and after the Department of Street cleaning began to function. 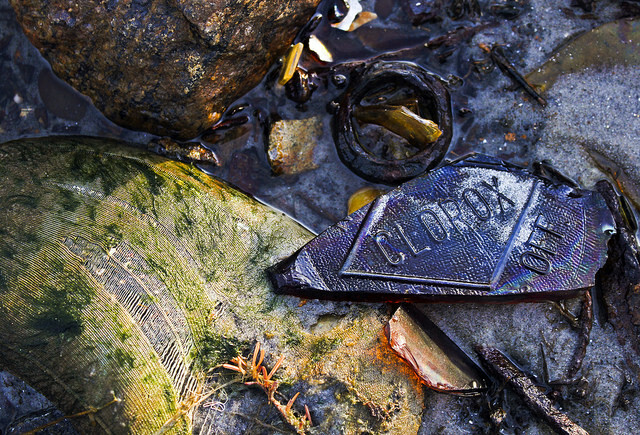 Today remnants of the past still wash up on the city’s beaches. Waring made great strides for trash collection but up until 1935, New York City dumped much of its trash in the ocean. Barges carried waste out a few nautical miles and unloaded it. Trash was also sent to Barren Island, off the southeastern shore of Brooklyn. 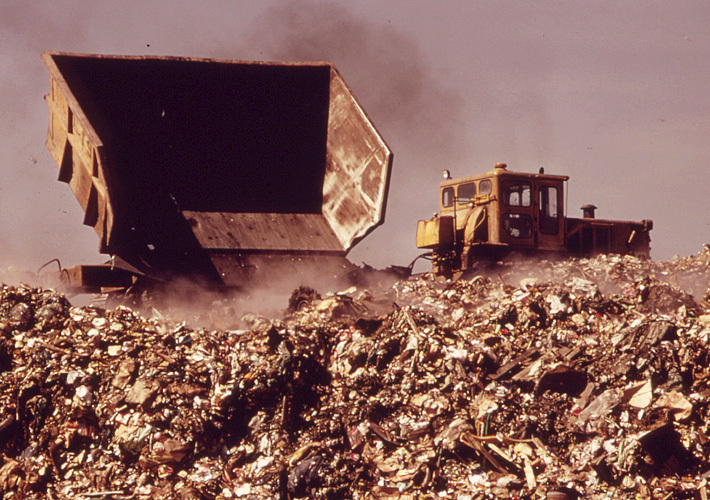 Throughout the 20th century, New York City sent most of its waste to landfills. Fresh Kills, the world’s largest city dump, which was only intended to serve the city for 20 years, stayed open for over 50. At its height, 650 tons were brought to the site on barges each day. The landfill officially closed in March of 2001 but it briefly reopened in September to accept the rubble from 9/11. Today, it is being turned into a park. The nation’s first incinerator was built in Governor’s Island 1885. It was torn down in 1999, the last incinerator in the city to go. Burning trash was a popular way to get rid of garbage in the 20th century. In the 1960s many apartment buildings had their own incinerators which burn trash during the night. Environmental reasons made this a less popular option. Household trash has been dumped in front of the New York City incinerator plant at Gravesend Bay.